nissan is a japanese multinational automobile manufacturer headquartered in yokohama, japan. the company also sells its cars under the infiniti and datsun brands with in house performance turning nismo. 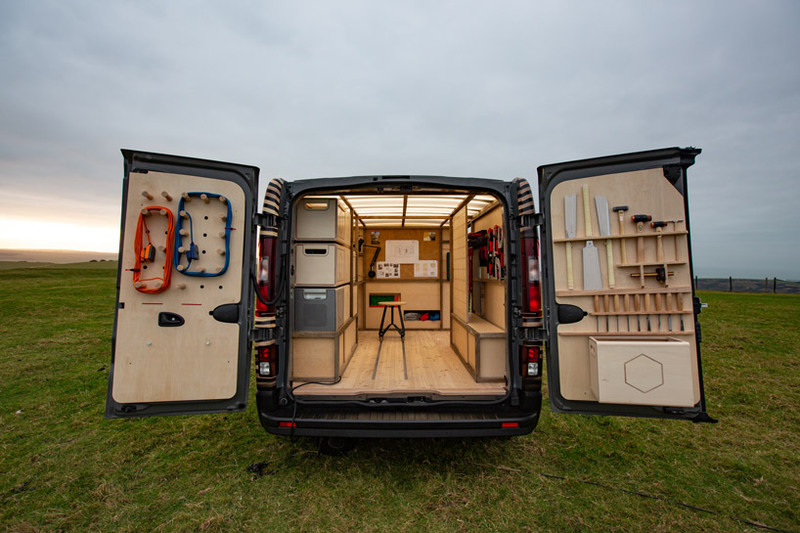 nissan has created an all-new NV300 concept-van to highlight the versatility of its commercial vehicles for bespoke conversions. 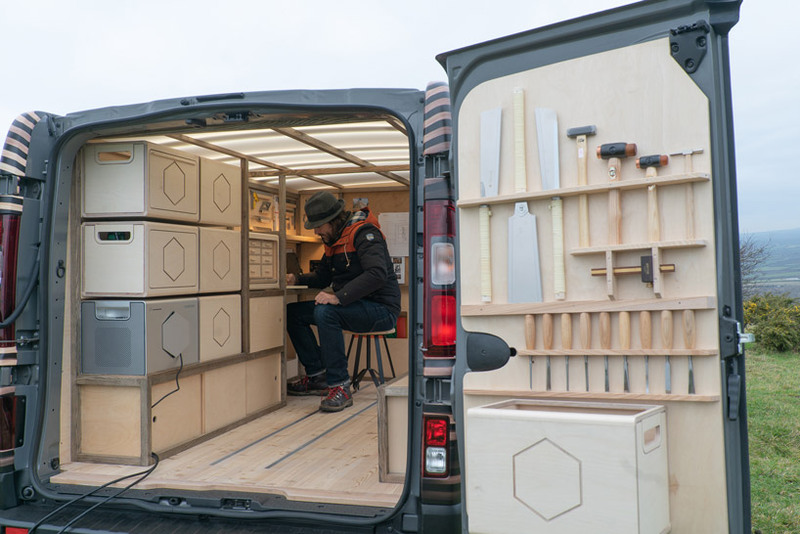 unveiled at the brussels motor show in belgium, the vehicle’s cargo area has been kitted out as a mobile workshop for a creative woodworking professional. 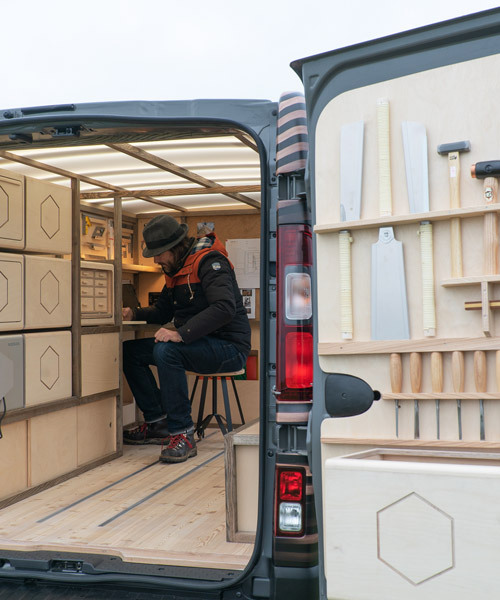 the van’s content has been developed and created in a collaboration between nissan and british design studio, studio hardie. 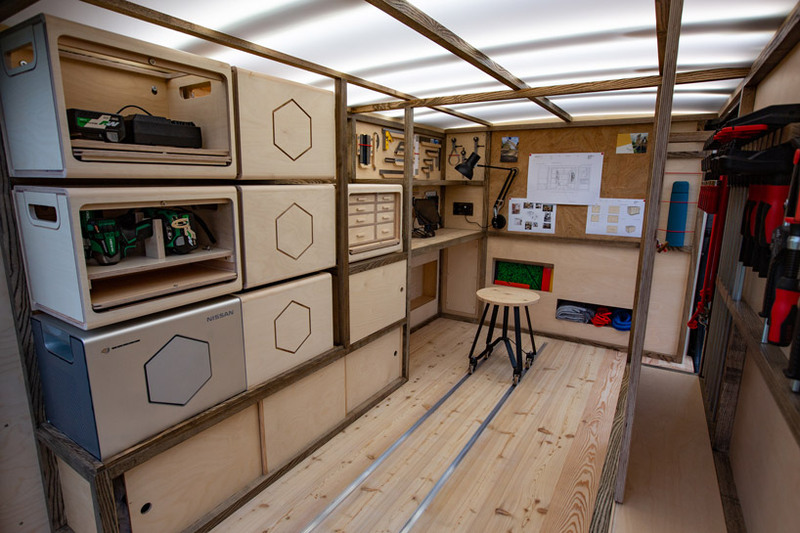 it features a bespoke wooden interior van that contains numerous practical and innovative features, illustrating how the japanese car manufacturer’s extensive LCV range can be the perfect partner for professionals working in any sector or trade. the NV300 concept-van also comes equipped with an integrated portable battery solution called energy ROAM – a weatherproof power pack with a storage capacity of 700Wh and maximum power output of 1kW. it provides convenient, emission-free and silent power while on the go. with a storage capacity of 700Wh and maximum power output of 1kW, this portable battery solution is a state-of-the-art energy hub for mobile professionals. 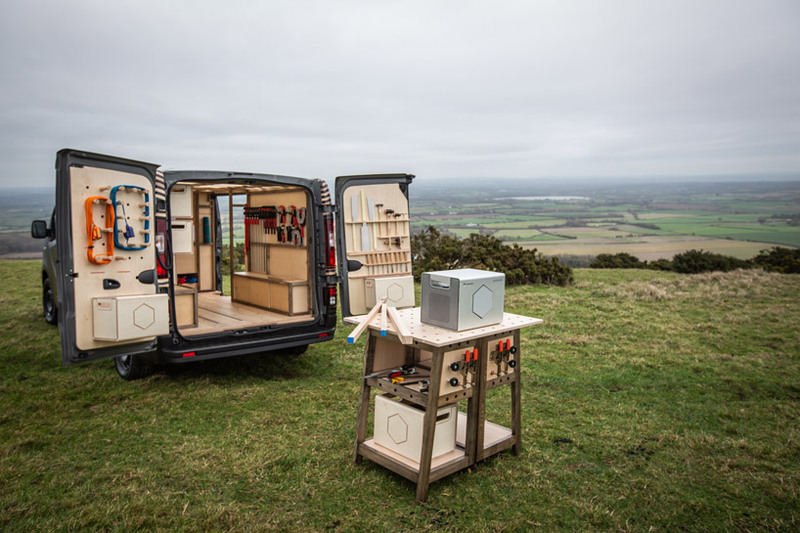 the power pack can even be recharged using a solar panel accessory – as mounted on the roof of the NV300 concept-van – making it a truly ‘off-grid’ power solution. the NV300 concept-van features a personalised load space including an integrated touch-screen computer, swivel seating on floor rails, space-saving bespoke storage and LED lighting in the ceiling. nissan energy ROAM builds on prototype portable power technology seen on the nissan navara dark sky and nissan navara enguard concepts, unveiled at hannover motor show 2018 and 2016 respectively. designed for both professional and leisure use, nissan energy ROAM offers a clean, sustainable solution for customers needing electricity on the go. it will launch in European markets in spring 2019.